Both the Healthy Schools and School Travel Planning initiatives take a whole community approach to promoting a healthy lifestyle, bringing together teachers, parents, governors and many more parties. 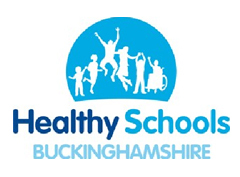 Unfortunately Bucks County Council no longer provide support to schools for the Healthy Schools programme. However Public Health continue to promote healthy living through a wide range of initiatives. Your school can access information via SchooolsWeb. If your school would like to promote a healthy lifestyle to pupils, having a School Travel Plan in place can help achieve this through a promotion of active travel on the journey to and from school.